Today we have a vast network of online devices that are able to connect and exchange data with each other. This “internet of things” is hailed to the be next industrial revolution. According to a report from the Business Insider Intelligence, by the year 2022 more than 34 billion devices will be connected to the internet, up from 10 billion in 2015. Six trillion dollars is expected to be spent on the internet related solutions over the next five years. Industrial businesses should be the top adopter of these types of new technology. Normally when people talk about the internet of things, they are referring to consumer products such as Google Home, Nest, Apple’s Siri, and Amazon Echo and other major players in this space. But the next big wave of growth should be coming to the industrial sector according to Ben Gossack, Portfolio Manager with TD Asset Management. 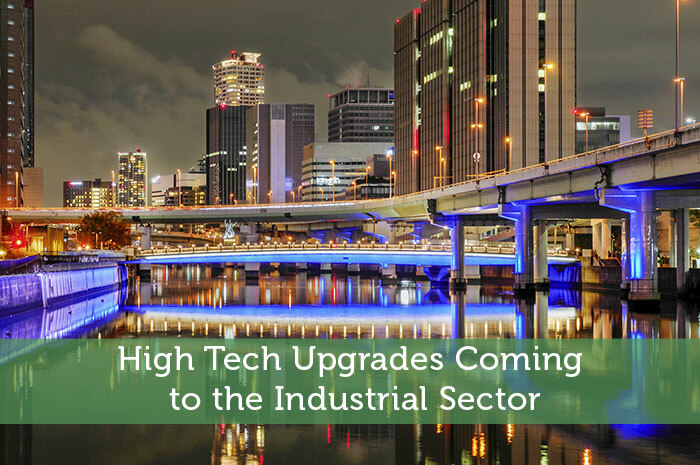 The industrial sector is one area that have yet to undergo a big change from technology. It is likely that in the future we will see hundreds of sensors on airplane engines, on elevators, and on heating and ventilation system. We will also see technology being embedded in pipelines and railroads. Companies are going to take that data to the cloud and be able to do real time analytics with it to make real time decisions. It will impact labor and efficiency. The industrial revolution lasted from 1771 to 1829. That had huge affect on productivity and GDP. Then the age of steam and railways was from 1829 to 1873. Then we had the age of steel, electricity, and heavy engineering from 1875 to 1918. Between 1908 to 1974 we had the age of oil, automobiles and mass production. Each of these revolutionary stages in industry lasted for many decades. Finally, starting from the mid 1970s a new revolution had begun, and we are still in it today. This is currently the age of information and telecommunications. This time the revolution will be driven by data instead of railway carts or horse buggies. There is usually some kind of breakthrough event, and then the bulk of the change will take off from there. In our current case it was the invention of the integrated chip that started this revolution. We are already beginning to see technology creep into the industrial sector. For example, Washington, D.C. currently has a contract with Philips Lighting. There are tons of lights in a city that have to be maintained. Traditionally the city bought the light bulbs and kept them lit. That means meant they required tons of people and resources to change, fix, and replace things. Sometimes it would take weeks before a broken light bulb gets switched. So instead of buying and owning light bulbs, the government shifted the responsibility to Philips, a private company. Washington doesn’t want the light bulbs per se. They just want their streets to be lit up. So if they can get lighting as a service for cheaper than owning and maintaining light bulbs then they will do that. General Electric (NYSE:GE) is well situated to take advantage of the future industrial needs. It’s currently trying to re brand itself as a digital company. It aims to become the Android or iOS of the industrial world. One of their service, Predix, is currently generating $50 million in revenue per year. They want to grow this to $4 billion eventually. As the industrial world requires more connectivity and internet communication services, there will always be a demand for new innovation and technology. This author does not own any GE shares as of writing this post and does not plan to buy any in the next 72 hours.